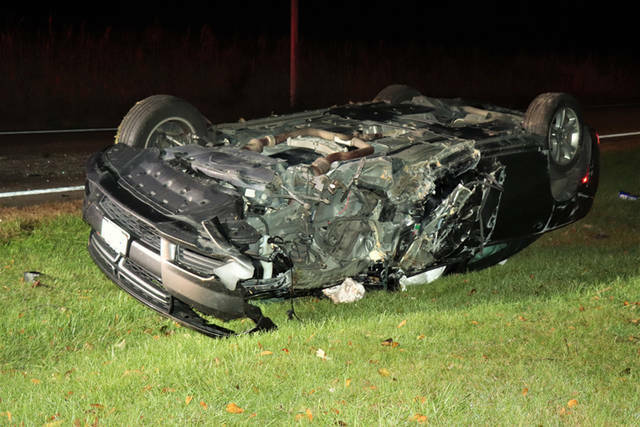 According to the Darke County Sheriff’s Department, a black Dodge Charger was traveling southbound on State Route 49 on Wednesday morning when the vehicle left the right side of the roadway and rolled at least once before coming to rest on its top. ARCANUM – The morning commute on State Route 49 was slowed Wednesday morning after a single vehicle accident left traffic limited to a single lane. 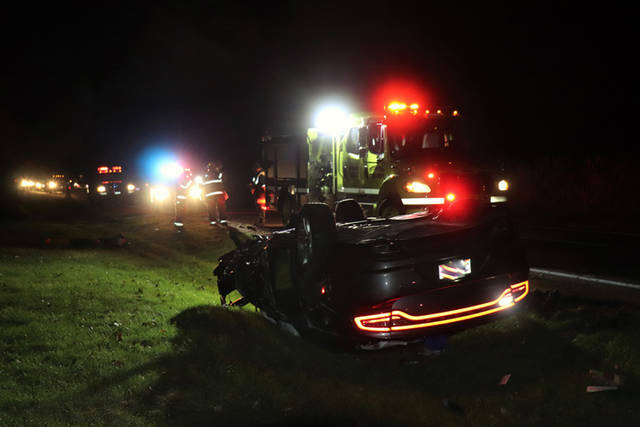 At approximately 5:40 a.m., emergency personnel from Pitsburg Fire Department and Arcanum Rescue along with deputies from the Darke County Sheriff’s Department responded to a single vehicle rollover accident. 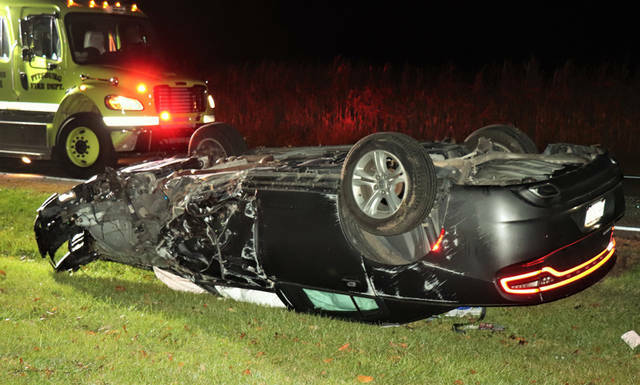 According to the Darke County Sheriff’s Department, a black Dodge Charger was traveling southbound on State Route 49, just north of Schnorf Jones Road, when the vehicle left the right side of the roadway and rolled at least once before coming to rest on its top. 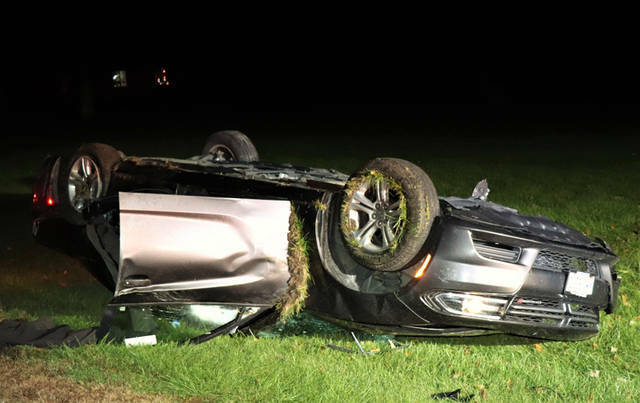 The driver, who was the lone occupant of the vehicle, was treated by Arcanum Rescue on the scene before being transported to Wayne HealthCare in Greenville for his injuries. Crews had to block the southbound lane of traffic during the incident for a short period of time while the accident was investigated and the vehicle cleared from the scene, causing a brief slow in traffic. The cause of the accident has not yet been determined and will remain under investigation by the Darke County Sheriff’s Department. This entry was tagged Arcanum Rescue, crash, Darke County Sheriff’s Department, Pitsburg Fire Department, Wayne HealthCare. Bookmark the permalink.